The Leopard is a down-the-hole drilling rig for contractors and medium-to-large quarries. 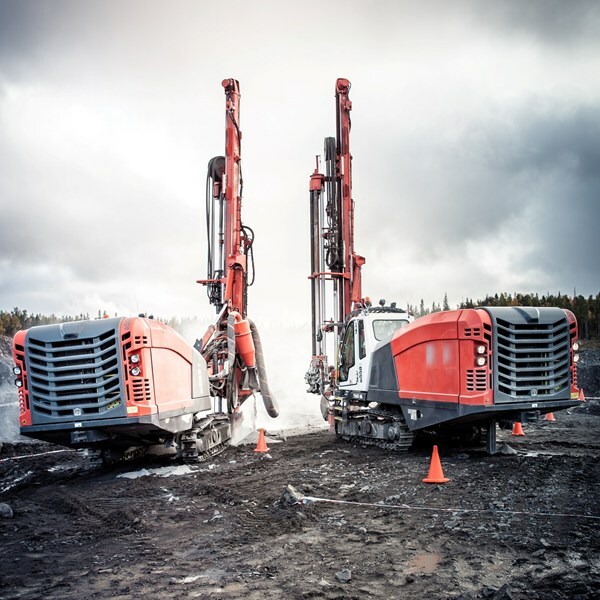 Equipped with a 5” DTH hammer, it increases productivity while keeping fuel consumption and operating costs low. With 4” and 6” hammers, this machine is just as effective. Simple to use, comfortable and efficient, the Leopard offers a quality environment to the operator: a design and soundproof cabin where vibrations are not felt and a user-friendly control screen. Safety is a strong point of the Leopard that offers stability, multiple glazing windows and a windshield equipped with a protective grid. Its cabin is ROPS and FOPS certified.